Wednesday 30 January 2019 marked the end of the IFFR Pro Days as well as the 36th edition of CineMart, the co-production market of International Film Festival Rotterdam (IFFR). During the awards ceremony, eight film projects were awarded IFFR Pro Awards: four CineMart awards, the first BoostNL Audience Award, the HeYou Media VR Award and the newly launched Dutch Post-production Awards. Presented for the first time this edition, the Dutch Post-production Awards are a collaboration between the Hubert Bals Fund, the Netherlands Film Fund and the Netherlands Post production Alliance. 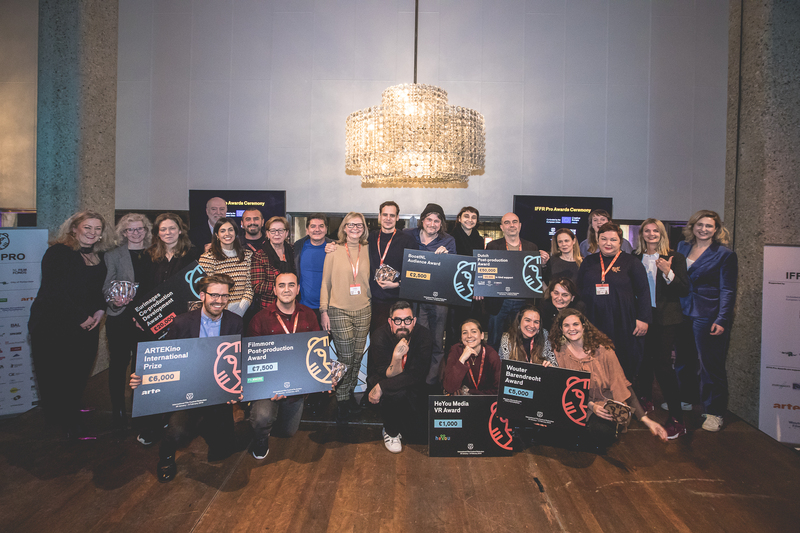 Out of a selection of six nominations, a professional jury chose two winners who each receive an award worth €50,000, which is to be spent on post-production in the Netherlands, and an additional €5,000 in kind. The Eurimages Co-production Development Award worth €20,000 is given to one of the selected CineMart projects that is, or will be, a European co-production. This CineMart post-production award by Visual Effects & Post Production lab Filmmore comes with a €7,500 prize. The ARTEKino International Prize is worth €6,000 and is given to the producer of the best CineMart project to support its financial development. This new award is worth €1,000. The jury could choose among four VR project pitches presented at IFFR Pro x VR Days. For this new award worth €2,500, an audience jury of film fans picks a winner among the BoostNL projects presented during the BoostNL Spotlight event. A complete list of the 36th CineMart selection can be found here. Click here for an overview of the BoostNL 2018/2019 selection and click here for all nominations for the Dutch Post-production Awards.